Piwik PRO’s products are deployed in both on-premises and cloud versions, both adhere to the strictest data protection regulations (including HIPAA and GDPR). Users can create a personalized experience for their visitors with tailored content, pop-ups and notifications based on highly segmented behavioral data. CDP can create a single customer view based on first-party data: web analytics, app analytics, CRM and other data sources. The gathered data also allows users to precisely map the customer journey across various channels, even in secure member areas or offline. Automate the process of collecting, managing and storing GDPR consents as well as handling data subject requests in alignment with the new EU data privacy law. Create advanced reports in seconds, even for websites and apps with more than 2 bln pageviews. Get answers to your analytics questions with custom tables and charts created with a simple drag and drop editor. Piwik PRO Analytics Suite was added by Piwik_PRO_Team in Apr 2016 and the latest update was made in Apr 2019. The list of alternatives was updated Apr 2019 There is a history of all activites on Piwik PRO Analytics Suite in our Activity Log. It's possible to update the information on Piwik PRO Analytics Suite or report it as discontinued, duplicated or spam. Glew is an advanced ecommerce dashboard that integrates data from several sources and provides easy-to-read and actionable insights for your ecom store. Alternatives to Piwik PRO Analytics Suite for Web, Self-Hosted, Wordpress, iPhone, Android and more. Filter by license to discover only free or Open Source alternatives. This list contains a total of 20 apps similar to Piwik PRO Analytics Suite. No reviews yet for Piwik PRO Analytics Suite, want to be first? 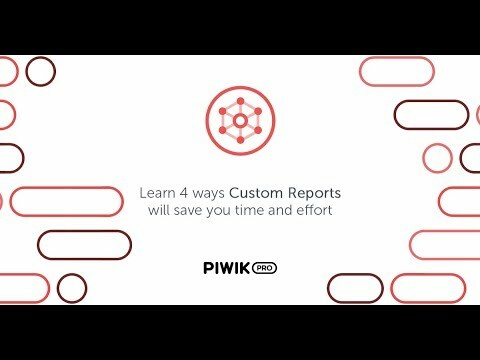 Maybe you want to be the first to submit a comment about Piwik PRO Analytics Suite? Just click the button up to your right!